What Can Quality Best Fence Do For You? 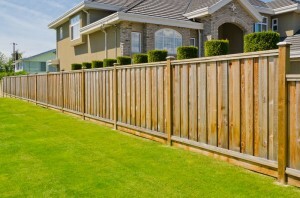 What are the advantages of seeking out a fence contractor in Westchester County? Why would anyone take the time to hire a fence company? What is the point of even getting a fence anyway? Well, depending on your preferences and circumstances, the answer to that could apply to between one and several logical, practical, and/or aesthetic reasons. Here’s everything you need to know about how Quality Best Fence is fit to make your property value get a whole lot higher. For homeowners, a good fence can make a home whole. It’s a vital step in the long and grueling process of making a piece of property feel like yours. Without it, no matter how much time is spent in the garden or on the house itself, it will still feel as though it resembles the home the previous owners left to you. Installing a fence is the perfect way to flip the whole aesthetic on its head, and personalize it to your own preference. You’ll also have the privacy you’ve worked so hard to attain. No longer will your neighbors peer into your living room. No longer will passers by have a full view of your kitchen at night while you’re eating dinner. It’s more than reasonable to want the time in which you interact with the world to be separate from the time in which you relax and forget about it. With a fence, that can be your reality. And if you change your mind, you can take a step off your property and you’ll once again be back in civilization. Are you a dog owner. Getting tired of going for a walk twice a day, every day? Wish there was some way that they could just walk themselves every once in awhile? While guess what, you guessed it. Get a fence installed and you can walk your dog as you please. And if you’re feeling lazy, you can go ahead and just let your dog out the back. For homes and businesses, a well installed fence serves any number of security factors. It narrows the point of entrance for intruders. So if you want to know where everyone on your property is located, whether it’s for your home or your business, a fence can make that possible. Fences are the perfect addition to any property, private or public. The make the yard look nice and they make the owners feel safer. If you’re convinced, you’re only a phone call away. Quality Best Fence is at your service. We’re the quality fence contractor in Westchester County that’s going to make your home complete. In case you have question or inquiries, or if you’re simply ready to make the appointment already, give us a call today at 914-737-8700, or contact us online anytime.